Sarah “Betty” March, 96, formerly of Goodwine, passed away at 10:56 p.m. Saturday, February 2, 2019, at Accolade Healthcare of Paxton Senior Living. Betty was born on October 8, 1922, in Hoopeston, the daughter of German and Anna (Griffin) Robertson. She married Henry March on September 25, 1941, in Perrysville, Indiana. He preceded her in death on November 2, 1976. She is survived by three children- Fred (Pam) March of Fithian, Mark March of Philo and Becky (Gene) Miller of Ogden; six grandchildren- Missy Melton, Hank March, Heather March, Miranda Walker, Shauna Miller and Aaron Miller; eight great-grandchildren- Jonathon Melton, Madi Melton, Zak March, Ethan March, Austin Cuppernell, T.J. Wade, Finnegan Walker and Rowan Walker; brother-in-law- Charles Smotherman of Shawnee, Kansas; and several nieces and nephews. She was preceded in death by her parents, husband, grandson-Jacob March and two sisters- Lillian Smotherman and Lenora Kerrill. Betty worked at Stokley’s for several years and was a nanny to many children. 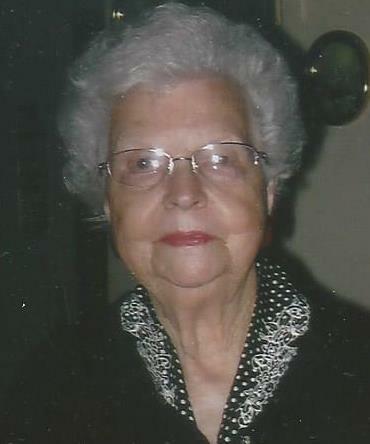 She was a former member of the Goodwine Methodist Church and was currently a member of the St. Joseph Church of Christ. She was also a member of the Eastern Star and Royal Neighbors. 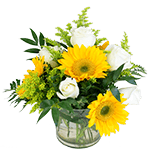 Betty enjoyed flower gardening, feeding the birds and she was an avid Chicago Cubs fan. A Celebration of Sarah “Betty” March’s Life will be held at 1:00 p.m. Saturday, February 9, 2019, at Blurton Funeral Home, in Hoopeston. Visitation will be from 11:00 a.m. to 1:00 p.m. Saturday at the funeral home. She will be laid to rest following the services in Amity Cemetery, in Goodwine. Memorials may be made to Carle Hospice or to Accolade Healthcare of Paxton Senior Living. The family has entrusted the Blurton Funeral Home to assist them in honoring Betty’s life. Memories or photos may be shared with the family on her everlasting memorial page at: www.BlurtonFuneralHomes.com. | 309 E. Washington St.